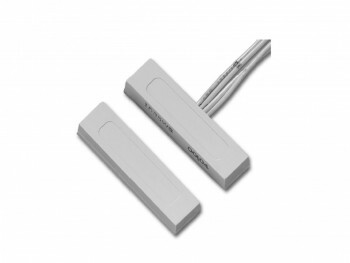 The 1035 Series magnetic contacts save installation time through the use of a specially formulated 3M® adhesive tape. The tape, which establishes a permanent bond between the contact and the surface, can be repositioned in the first five minutes. A low profile and small footprint combine with reliable technology to make the 1035 Series contacts a good choice for applications where drilling holes is impractical.